Which god would آپ like to take your path in یا have as a patron? Nepthys. She's the water goddess, right? Thoth, I like wisdom, though, Bast is cool too. So either of them. lol meee toooooo!! i chose ptha,thoth,anubis, یا neith! Path of Ma'at, she's awesome! Geb seems cool too, manipulating the earth. یا path of Bes . . . I'd have to buy a speedo. آپ could just talk to him. he would hook آپ up. Ma'at. She keeps the order in the universe, and also stands for truth and justice. life needs a bit of madness eh chap? I would say Serqet because I would hope to be one of those animalist magicians. Either Bast because I like cats یا Anubis because we have the same personality. Probaly the Path of Anubis NOT because he is supposedly 'Hot' but because he is the god of Funerals, and the Jackal and he would be a great patron to follow. یا the Path of Thoth because he is the Egyption god of Wisdom and some poeple could use Wisdom in their decsions of life and love. Also because it would be cool to have knowledge of the paths that have been forgotten. bast. CATS ARE AWESOME! i am certanly not evil enough to follow the path of set, but he would be my سیکنڈ choice. but im not quite evil enough. یا thoth, he's cool to. hey, evil is just a perspective. Seshat: Goddess of writing, astronomy, astrology, architecture, and mathematics; depicted as a scribe even though I'm a guy. Definately Nephthys. Because she is the goddess of the night and rivers. And i like both of those so i'd be a water elementalist. ^waterbender^ also did آپ change your name یا was it that when آپ گیا کیا پوسٹ this? if it was like that when آپ گیا کیا پوسٹ it آپ should have just کہا something like: "i think my name is self explanatory"
I think I would choose Sekhmet. آپ wanna heal یا infect? I would follow Horus, Bast, یا Anubis. Horus because even though I'm a girl, I can fight really good. Anubis because I'm the odd one out. Bast because cats are awesome and I love animals. I would the path of Isis,Nut,or Bast. Maybe the river goddess because my name means 'little river'. Either Thoth یا Isis as they are both gods of magic, so speaking divine words and using tools like wands یا staffs would be easier. If I had to choose between the two, I would choose Thoth because he is also the god of wisdom and knowledge, which I think is pretty important. I dunno, I'd a combat magician that actually knows magic elemental stuff. Maybe,Sekhmet because claws are like the twin scimitars I'd use. I think I'd kind of switch between them if I could. 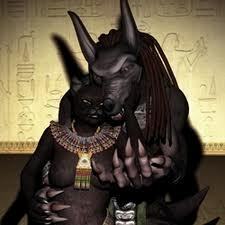 I do like Anubis and Bast, but I think I would take the path of Set. Everyone needs a little chaos, don't they? مزید Likely than not i would follow the path of sobek. water magic, combat magic, and animal charming crocodiles all rolled into one. Fire, Light, Storm and War skills. Blaze need's to be nerfed. Anubis, because he's my zodiac sign and I love learning about him. Horus because he is Yolo!! GEB!!!!!!!!!!!!! I could drop a mountain on my enemies' heads! i would choose neith. just the ability to be pretty much batman level hunting is very appealing. also. plus maybe she could give me some pointers on ranged weapons.